Cygwin is a development environment similar to Unix one and has command-line interface to work like in Linux but inside the Microsoft Windows Operating System. 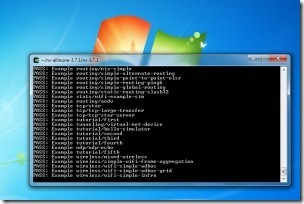 Cygwin eliminates the overhead of installing an entire Linux OS for running certain applications. 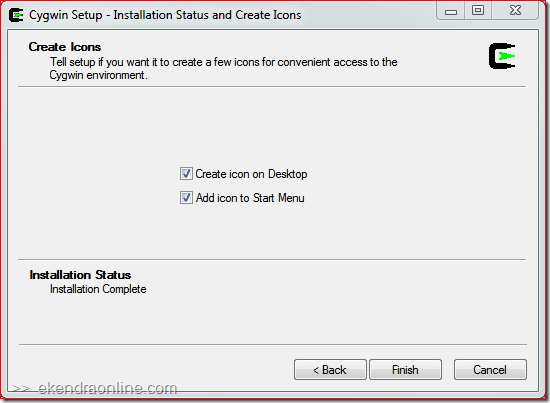 There is a native integration of Windows-based applications and softwares to work in Linux or Unix like environment, thus it is not necessary to install Linux only to fun your simulating program. Wine, WINdows Emulator, on the other hand is just the reverse application to Cygwin – Wine allows us to run applications developed primarily for Windows OS in other operating systems, say Mac OS or Linux. In order to run or install native Linux or Unix based simulators like NS2 or NS3 (Network Simulators) and OMNeT++ (not a native though) in Windows (without installing Linux), you will need Cygwin. 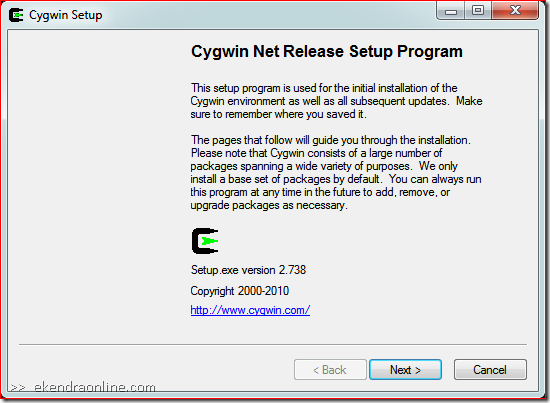 Read Tutorial: How to install ns-3 in Windows 7 using Cygwin by Jason. 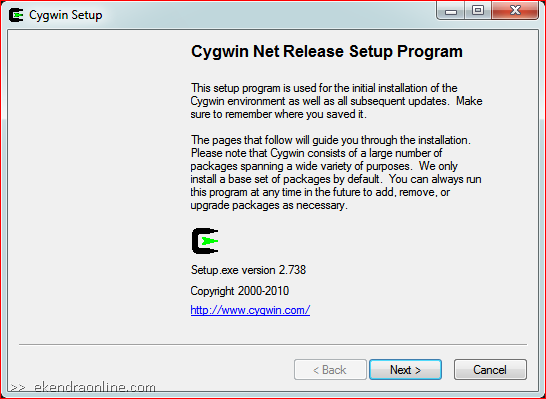 Cygwin environment and all subsequent updates will be installed via Cygwin Net Release setup program, ensure all packages are install. However, by default only a base set of packages are installed. 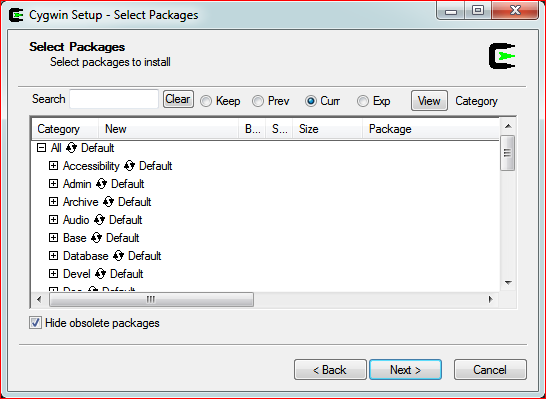 You can always add on more packages to your Cygwin installation later. Cygwin setup downloads the latest files and packages from online mirror sites and install them in your local computer. If there are major release upgrade, it is common to see screens like this. Existing Cygwin installation maybe effected by major releases, however if you are installing Cygwin for the first time (clean and fresh installation) then just ignore the setup alert. 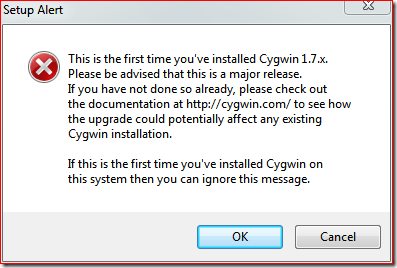 Finally, select the Cygwin packages you want to install in your computer’s Cygwin installation environment. 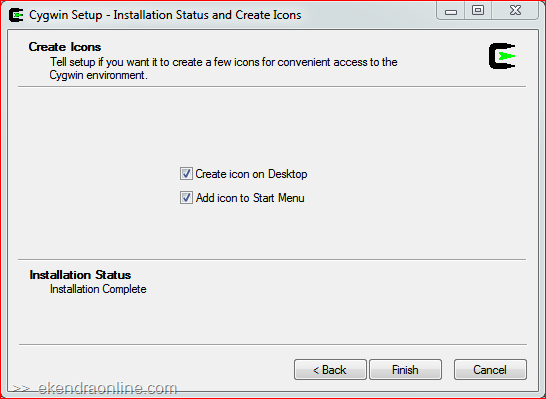 By default all base packages will be installed, however you still can search and install the one your require. There are many Cygwin packages given in the Cygwin official website, you can search one yours here. 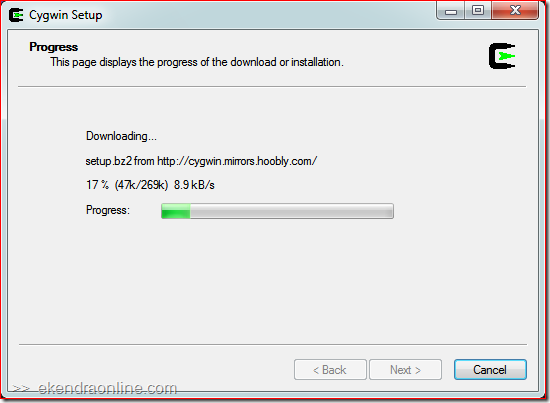 After downloading necessary Cygwin set up file, the packages are downloaded and installed. 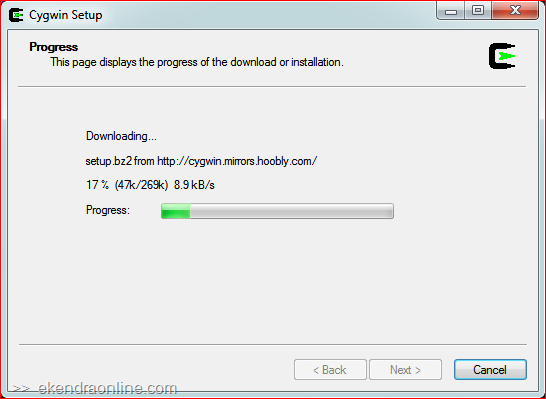 Once your Cygwin setup wizard has completed the installation, you shall see screenshot like above. Now, open Cygwin and run any program you wish like in the Unix environment – command line is all what you got to see. Is your WordPress Visual Editor - Kitchen sink vanishing? Facebook Places go viral - can Nepalese business benefit?